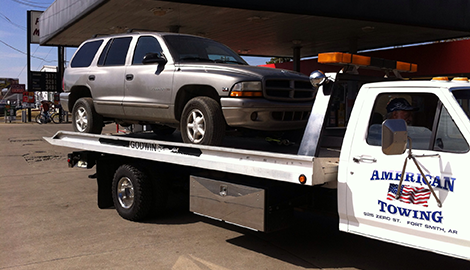 American Towing offers efficient, punctual, and friendly towing service in and around Fort Smith, AR. Choose us as your point-of-contact for all your emergency towing needs! Give us a call us right away! Call American Towing today to experience our efficient, quick-response roadside service. 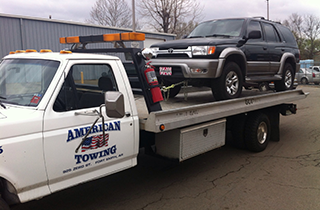 American Towing has provided professional, damage-free wrecker and towing service for 25 years. 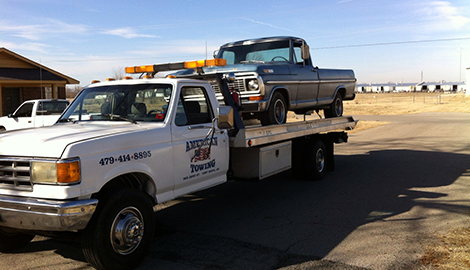 American Towing is a premier and trusted provider of professional roadside service in Fort Smith, AR. 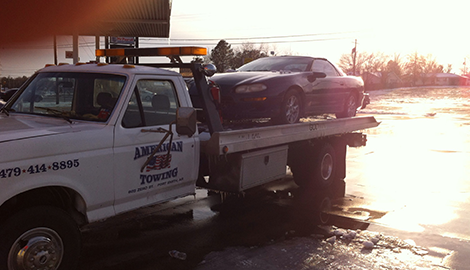 If you find yourself stuck with a broken down car, American Towing is ready to assist you! Our professional team in Fort Smith, AR will provide prompt towing services for your car, motorbike, minivan, pickup truck, RV, and more. Simply give us a call, and we will get you moving and back on the road again. 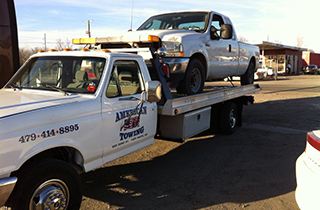 At American Towing, we provide a wide range of services when it comes to accident, emergency, and breakdown towing. We are insured and licensed by the state, and we deliver quality work at highly competitive rates. We have been operating in Fort Smith, AR for 25 years, and we are committed to providing you with a quick and efficient response by a courteous staff. Because we have a fleet of well-maintained trucks and towing equipment, we take pride in giving effective, round-the-clock roadside services seven days a week. We are the premier provider of towing assistance in Fort Smith, AR, and we are ready to go the extra mile to help you out of a jam. There are many reasons why towing services are valuable to motorists today. Not only do companies like American Towing help in the repair of your vehicle; we also guarantee to transport your car to safety. We provide competent roadside assistance that puts your best interests first. We put great value on customer satisfaction, so we consistently provide efficient, punctual, and affordable service. Our team is always on standby and ready to help you out of an emergency. 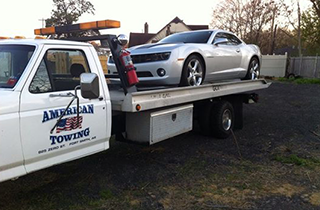 When you need the help of a towing service, call American Towing right away!